With its cascade of domes and surrounding six minarets, the Blue Mosque, commissioned by Sultan Ahmet in the early 1600s before his death, is regarded as one of the most picturesque buildings in Istanbul. Its name comes from the 21,000 Iznik tiles that adorn its interior but since 2016, the mosque has undergone a dramatic renovation project – so dramatic that after queuing to get in visitors are more than a little disappointed by the lack of blue and domes on display, having to settle for scaffolding instead. 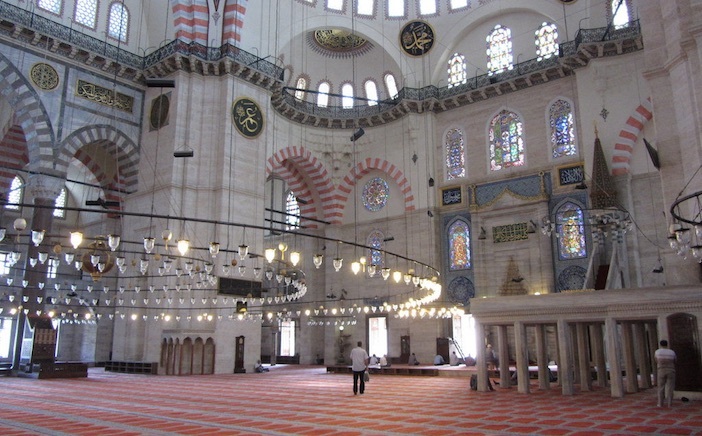 The Suleymaniye mosque predates its flashier brother, built between 1550 – 1557 feels altogether calmer and less crowded on visiting. The majestic simplicity of the exterior extends to the tranquil gardens of the mosque complex, while a terrace to one side of the building offers views to the Golden Horn and Bosphorus river. Both Hammams were originally built at similar times: the Ayasofya Hurrem in 1556, and the Kılıç Ali Paşa between 1578-1583. After a $13million restoration, the Ayasofya Hammam undeniably offers one of the most luxurious authentic Turkish Hammam experiences in Istanbul, which is fitting given it was commissioned by Suleiman the Magnificent. But Kilic Ali Pasa, named after a celebrated admiral of the Ottoman navy and built to serve marine forces at the time, has also undergone a meticulous seven-year restoration, even picking up a prize at the 2017 EU prize for cultural heritage. 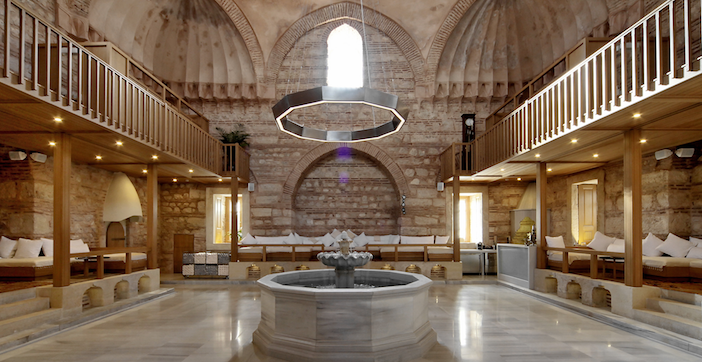 A Turkish Hammam experience at Kılıç Ali Paşa will set you back 270 Turkish Lira (43 euros) compared to 85 euros at Ayasofya. Case closed. We start things off with a sherbert drink in the camegah (lounge). Turkish-style banquettes in grey cushions flank the camegah’s bare brick walls underneath the mezzanine changing level. In the hammam, Ozlem pummels my skin with water, flannels and her bare hands before coating me in silky citrus soap suds squeezed out of a silk cloth. By the time she massages my back and feet, she has good-naturedly laughed out all my British reserve. I finish, wrapped in hot fluffy towels, squeaking my clean skin beneath my fingertips. It’s easy to eat well in Istanbul but it’s also easy to eat very average. The restaurants in the old town and around Sultanahmet in particular, specialise in overpriced, mediocre fare. The cosmopolitan Beyoglu is where local Istanbul residents go and the criss-cross of back streets play host to neighbourhood eateries, rooftop bars and fine dining venues alike. 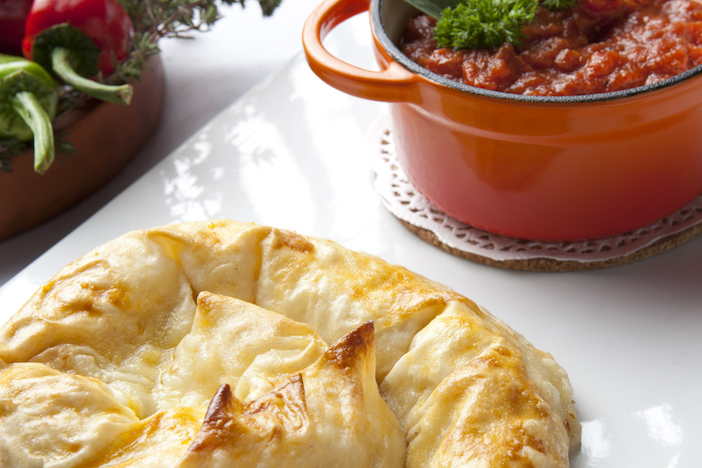 Mezze by Lemon Tree changes up its menu on a daily basis and is regarded as one of the best restaurants to eat mezze in Istanbul. Rather than classic baba ganoush and Borek though, expect to find an ever-evolving rosta of new and experimental mezze combinations. We try green green stuffed peppers (skin off) with honey, feta, almond, spring onion and apricot cheese; pastrami in an incredibly creamy green pesto – such a lovely combination, we wonder why we haven’t seen it before; aubergine with clotted cream and celery leaves, and ceviche sea bass with radishes and coriander. Hummus here is served hot, the oven time creating a more earthy texture and flavour. And that’s just the starters. For mains we feast on Monkfish in a red wine sauce with celery, caramelized onions and feta cheese, and lamb sirloin that is incredibly tender, despite only being pale pink in appearance. If stomach space doesn’t permit this much food (I haven’t even got on to the banana with clotted cream, pistachio, honey, walnut and almonds or Hazelnut panna cotta with tahini and coffee sauce) then prioritise going big on the mezze. Originally called the Grand Rue de Pera, this long shopping street was renamed Istiklal (independence) Caddesi in the early years of the republic. We are staying at the Mr Cas hotel, situated in a grand 1900-era building, known as the Guney Palas (South Palace) on the Istiklal Caddesi itself. It’s sometimes a relief to duck into the hotel’s innocuous entrance and enjoy a moment of quiet from the nightime hubbub of Istiklal. 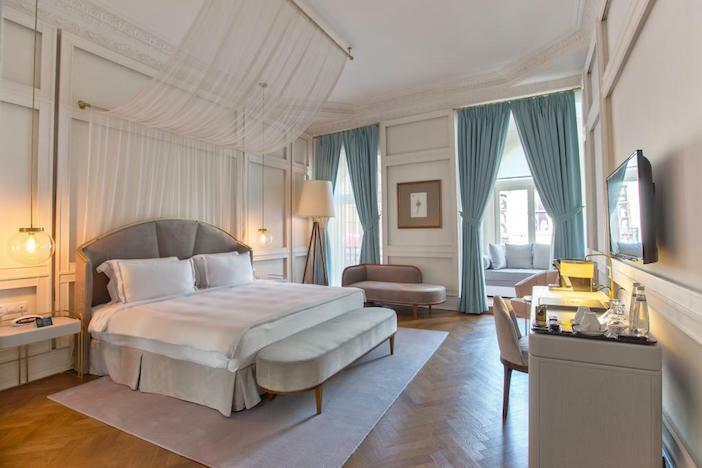 Our room, hung with heavy curtains and overlooking an interior courtyard, doesn’t let in any of the outdoor hubbub (shout out to the marble floored and walled-sumptuous bathroom too). The hotel’s mezzanine bar has seating that looks out across Istanbul roofs; the perfect cocktail spot to watch the area come into life in the early evening. Throngs of pedestrians make their way up and along the street, stopping in at one of the many grand chains selling baklava piled high, or the many clothing and beauty department stores. Small stands sell roasted chestnuts and it’s not unusual to see lots of men carrying guitars and square instrument cases. We stop to watch a band of five young Turkish men playing music, the crowd clapping and occasionally singing along, before peeling off to one of the side streets for delicious grilled meats at Zubeyir Ocakbasi and chocolate profiteroles (a nightlife institution, albeit a sickly one) at Inci Pastanesi. Mr Cas’s lavish indoor bar and restaurant area – doubles up as the breakfast buffet – with Istanbul’s European/Asian crossover influence in full flow: pastries from each continent, tahini butter, sweet honey and eggs cooked any way. We head back onto the Isitkal Caddesi before quickly turning onto another road: the Yeni Carsi Caddesi. 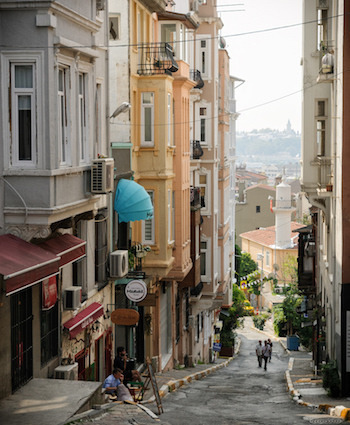 This long and narrower road runs, from Beyoglu, into Bogazkesen Caddesi at Tophane and all along it are independent cafes, bars and shops to rival the brashness of Istkalal. Paperbacks hang outside the front of The Homer bookshop tied in string; a case of books, all wrapped in brown paper are sold as a blind date with a book. At the nearby Leila Concept store, it’s all to easy to leave the shop with tote bag and white tees decorated with Frida Kahlo, and pineapple drawings in broad black paint brushstrokes as well as a leather belt. As we keep winding our way to Tophane, we stop off for freshly-squeezed pomegranate juice that tastes better and costs less than juices in the old town. 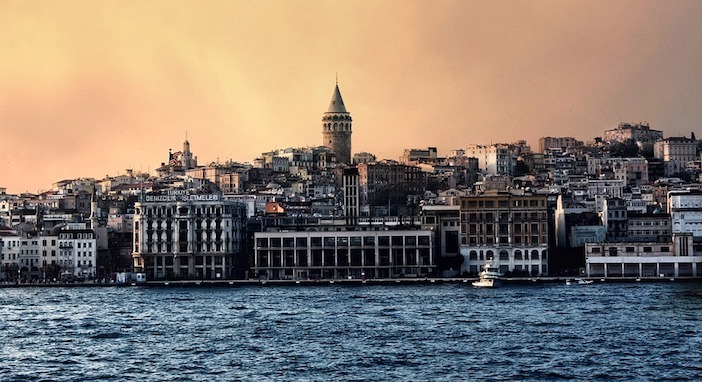 Much like each alternative Istanbul discovery – an altogether more refreshing experience. 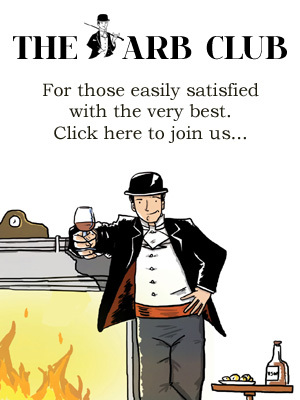 For more information about Mr Cas Hotels, visit www.mrcashotels.com. For more information about Istanbul, including further ideas for alternatives to the well-trodden tourist path, visit the official tourist board website at www.howtoistanbul.com.